Here we sit in the middle of January 2019. Yet follow the months back to January of 1805, to find Meriwether Lewis, William Clark, and their crew overwintering at Fort Mandan, in the heart of North Dakota. Like sailors of old who navigated seemingly endless oceans, Lewis and Clark were explorers, gazing across a vast sea of snow-covered plains, wondering where exactly they were. On January 15th, Lewis gathered his telescope and sextant to observe a total lunar eclipse and determine their location. A sextant is a navigational tool that allowed Lewis to accurately measure the position of the eclipsed moon. Lewis needed the moon’s exact position in order to calculate the party’s longitude, having already determined their latitude. By establishing their position at Fort Mandan, Lewis began to satisfy President Jefferson’s request that the crew track their coordinates wherever they went, to make their route retraceable. Perhaps for the Lewis and Clark party, the reddish moon was a welcomed comfort, a reliable object that could tell them the spot from which they would depart when winter finally passed and set them free to continue westward. But other cultures may have understood the event differently. Perhaps second century Greco-Roman astronomer Claudius Ptolemy would have instructed Lewis that a lunar eclipse presented the perfect opportunity to calculate the moon’s distance from the Earth. Alternatively, the ancient Mesopotamians may have urged Lewis and Clark to install temporary stand-in trip leaders in place of themselves, sure that the eclipse meant eminent death for whoever was leading the party. The people from Togo and Benin, Africa, on the other hand, may have insisted that the party could only bring an end to the fight between the sun and the moon by making peace with the local Native American tribes. 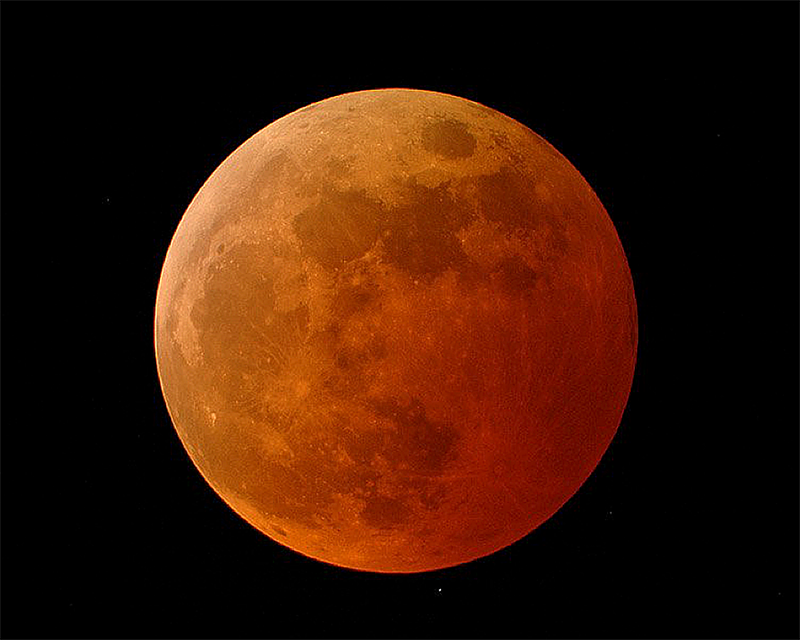 This month, on the evening of January 20, we too, will have the opportunity to witness a total lunar eclipse. But what will it mean for our culture? In an age of fast food, fast fashion, and rapidly changing technology, this eclipse invites us to pause and experience things that are changing at such a slow rate that they appear to have stayed the same since Lewis trudged out into the snow years ago. We’ll see the same vast night sky, feel the same cool air, and watch the same Earth cast a shadow on the same moon. And perhaps we, like Lewis, will find that the event can tell each of us a little more about where we are, about who we are.